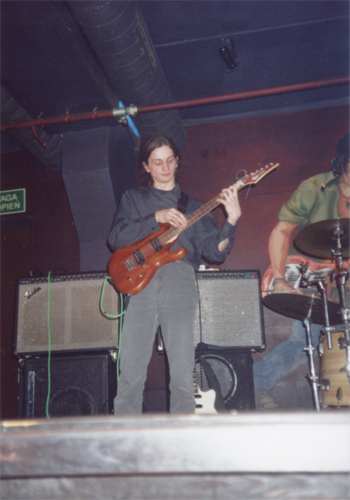 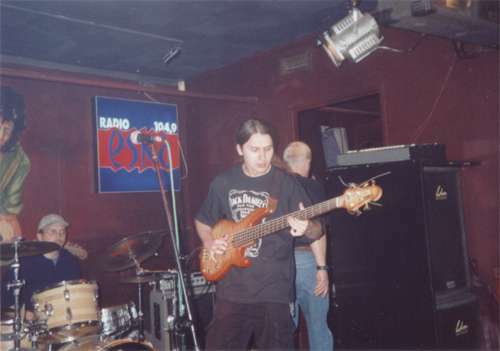 These are photos of us playing at the "Alibi" club in may of 2001. 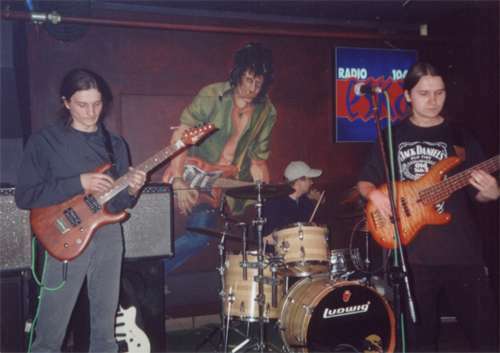 This is a small jazz-blues-rock club. 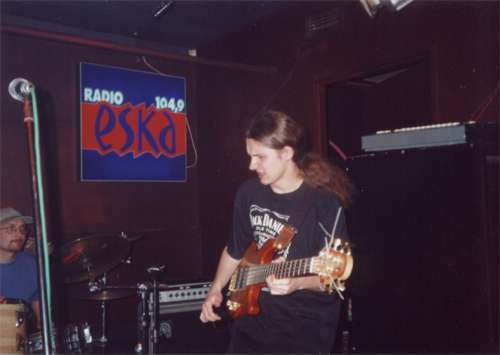 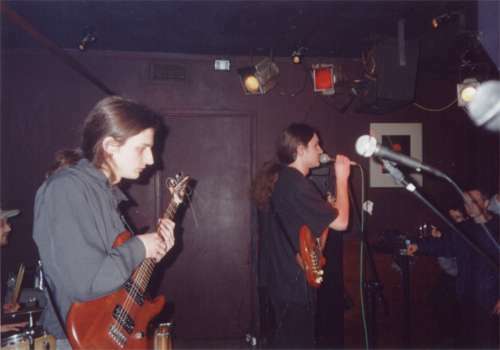 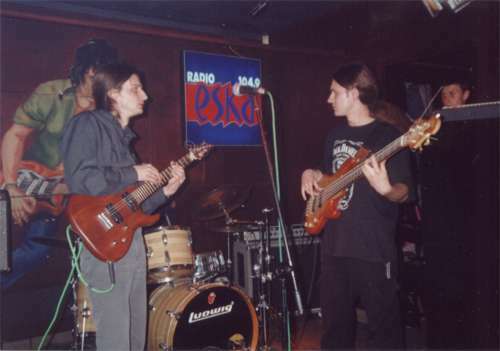 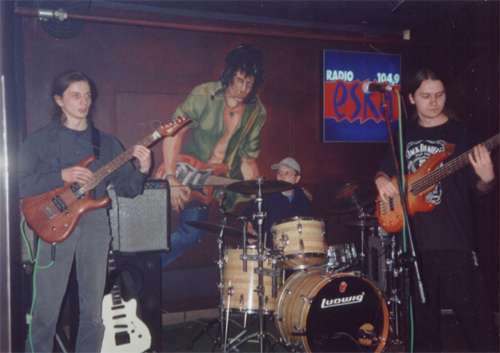 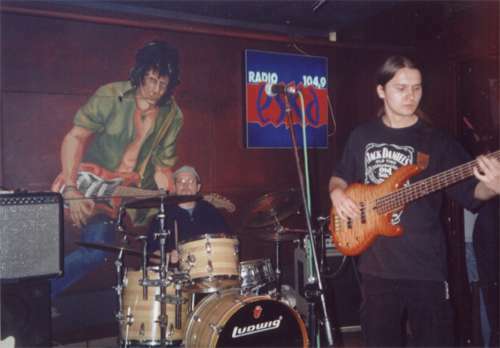 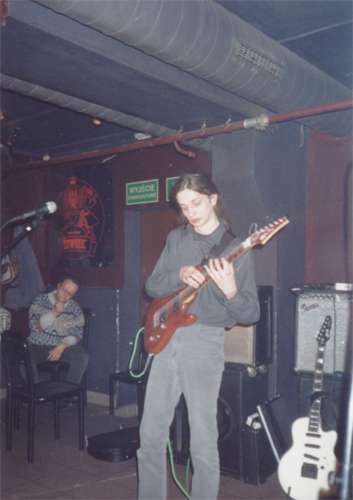 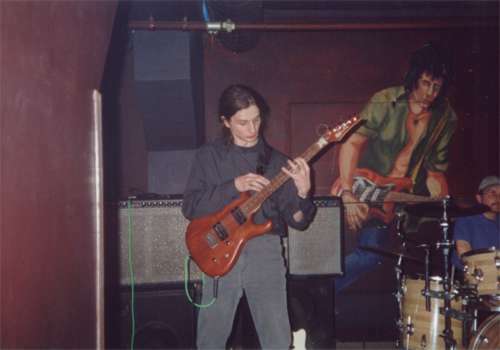 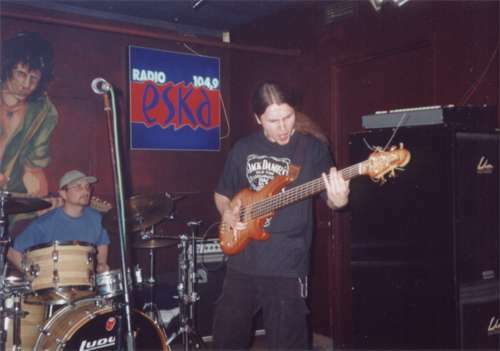 The lineup consisted of: Adam Fulara (guitar, on the left), Tom Fulara (bass, ont the right), and Pawel Wlodarczyk (drums, in the middle). 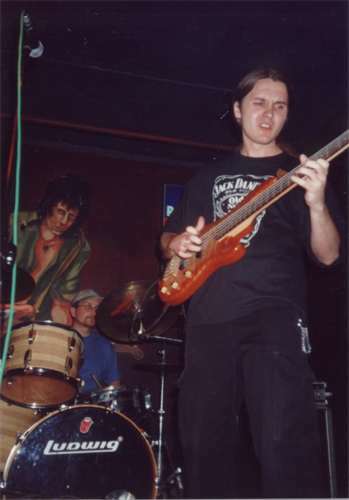 We played jazz.